Daniel Schwartz (USA) is member of the Porticus Supervisory Board since 2011 and Porticus’ CEO since November 2015. He is the found­er and President of Dynamica, Inc., a philanthropic foundation and multi-family office serving some of the world’s leading philanthropists. He is the former Executive Director of the Elie Wiesel Foundation for Humanity and is a co-creator of Arbinet, one of the world’s largest telecommunications bandwidth exchanges. Listed as one of the country’s most influential philanthropists, Daniel Schwartz is actively engaged in the non-profit community and serves or has served on the boards of Synergos, the GAVI Campaign, the Arcus Foundation, the Ol Pejeta Conservancy and Sweetwaters Chimpanzee Sanctuary (Kenya), the Rubin Museum of Art in New York, the Young Presidents’ Organization (YPO), the Chief Executives Organization (CEO), the Friends of Florence Foundation, Harvard-Radcliffe Hillel, Reboot, Kids in Distressed Situations (K.I.D.S. ), A Blade of Grass, and Sing for Hope. He is a member of the Clinton Global Initiative, the Council on Foreign Relations, and of the Synergos Global Philanthropist Circle, a non-profit organisation that addresses global poverty and social injustice. He served as a co-chair of the Harvard College Schools Commit­tee in NYC. 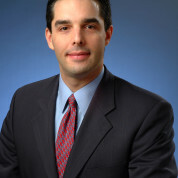 A frequent speaker and author in the areas of effective global philanthropy and entrepreneurship, Daniel Schwartz has given presentations to audiences at the UBS Philanthropy Forum, the World Economic Forum, McKinsey & Co., Yale College, the Badenweiler Symposium, and at many international YPO conferences. Daniel Schwartz received his Bachelor’s and Master’s degrees from Harvard University. He was selected as one of Crain’s New York Business’ “40 under 40” emerging business leaders, and was selected as one of the 100 Global Leaders for Tomorrow by the World Economic Forum in Davos.